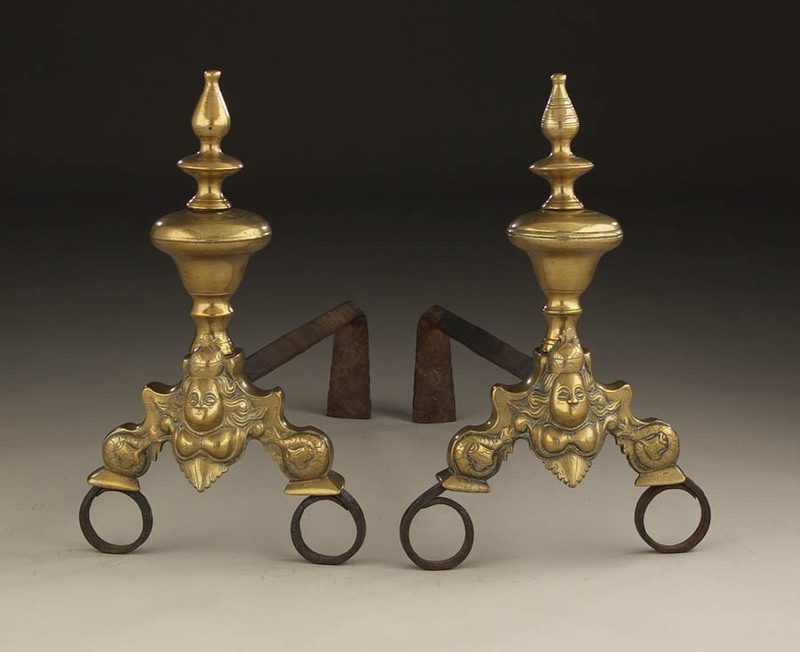 Andirons, Brass & Iron, Good Queen Anne, English 18th C.
A rare pair of early 18th century English fireplace andirons. Made of brass and wrought iron and cast with good Queen Anne crowned and dolphins to her side.The brass sections made with early encapsulated molds with small brass plugs. These are a rare survival and in great condition retaining their wrought iron fittments.